Google took a long, long break from Google Voice a while back. After letting the app fall into disrepair, Google expressed a renewed commitment to Voice in 2017. It has since announced a handful of feature updates, including VoIP calling in 2018. However, that feature never actually rolled out to everyone. Google's Scott Johnston says it's almost time, though. We know that some Voice users got VoIP calling as far back as September. Like far too many Google features lately, this is a server-side change and not controlled by an app update. For some unknown reason, Google has dragged its feet rolling it out to everyone. According to Johnston, things are back on track and the VoIP calling feature will be live for all users by next week. We are rolling out VOIP in Voice as we speak. Should be to 100% next week. There's an important distinction to keep in mind here. 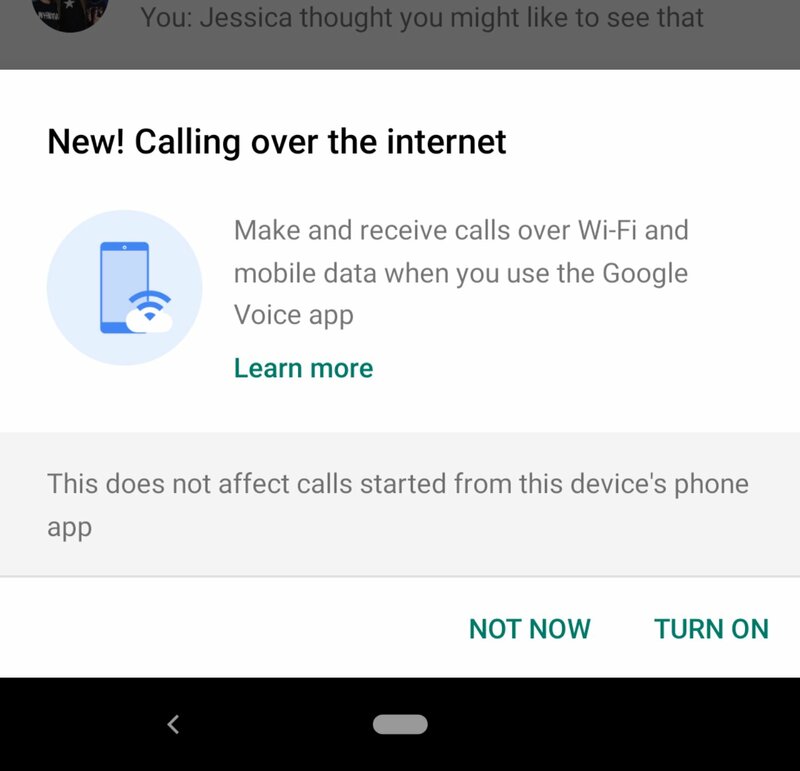 Google Voice hasn't had VoIP calls before; although it had many VoIP-like capabilities, Voice has always worked over a traditional phone line connection. When you get the update, you'll be able to place calls on your Voice number via a mobile data or WiFi connection.